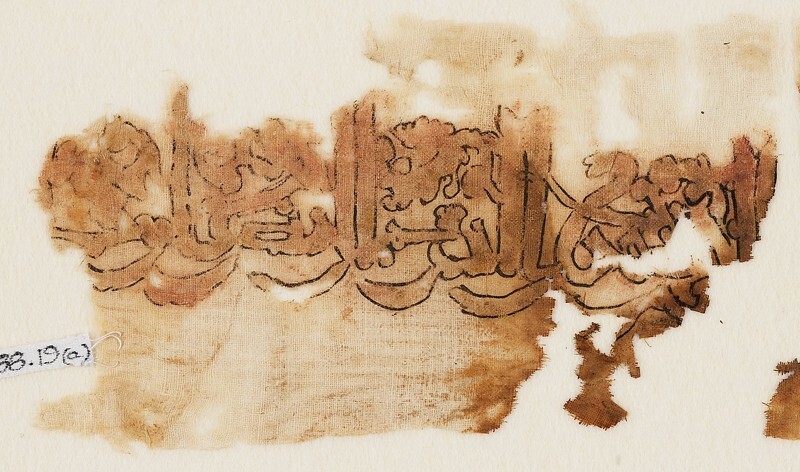 A kufic inscription with floral finials, with fine black outlines and remains of gold and red to fill in the lettering. This and fragment EA1988.19.b together read: "bismillah al-rahman al-rahim". 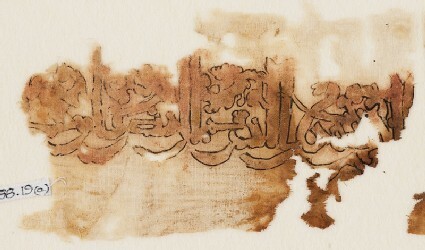 The original accession card identifies this as probably from Iraq, dating to the 11th century.